Most patients affected by lymphedema eventually discover that the skin in affected areas undergoes certain changes compared to skin covering other parts of the body. Lymphedema is characterized by an inappropriate buildup of lymph in the spaces between cells, which leads to swelling, discomfort and other problems in the affected localized area. Proper lymph drainage and circulation are important aspects of the body’s immune system. When dysfunction occurs, as in the case of lymphedema, affected areas—especially nearby areas of skin—may suffer certain negative effects. For this reason, it is especially challenging—and important—that patients dealing with the effects of lymphedema pay extra attention and take some additional steps to preserve the health and well being of affected skin. Skin in affected areas may become fragile, brittle, thin, and susceptible to drying, flaking, cracking, ulceration, or overgrowth with bacterial or fungal infections. Preventing these undesirable events from occurring is the goal of proper lymphedema skin care. Research suggests that proper skincare using appropriately formulated, gentle products can actually improve quality of life among patients undergoing radiation or chemotherapy for the treatment of cancer, including breast cancer. Effective skincare might even play a role in preventing patients from withdrawing too soon from appropriate treatment. We offer a full line of Lindi Skin® products, for example. Formulated specifically for people confronting the challenges of cancer treatment-related effects on the quality and integrity of skin, these products are exceptionally gentle, soothing and effective. A 2010 study, published in Supportive Care in Cancer, concluded that the use of Lindi products decreased the incidence of “skin toxicity,” including dry skin and dermatitis (skin rash). Perhaps more importantly, although many subjects in the study had tried to use other skincare products in the past, most found Lindi products such as body lotion and face moisturizer to be significantly better tolerated. The Lindi products were judged to soothe the skin better, and to provide “enhanced relief of dryness”. Lindi Face Wash also received high marks, compared to other facial cleansers. Test subjects found the Lindi product to be more gentle, and better tolerated. Experts have developed several specialized products that are designed to address the specific needs of lymphedema patients. Low-pH products, for instance, help discourage the growth of bacteria on skin. Moisturization is crucial, and products that help form a moisture-retaining barrier are particularly helpful. To sooth irritated, inflamed skin, soothing balms or lotions may be particularly beneficial. Some lymphedema patients may face other skincare challenges, such as radiation desquamation; a peeling away of dead and damaged skin cells at the site of radiation treatments for breast cancer, for example. Affected skin may become especially dry, inflamed, and vulnerable to cracking and infection. Certain products are especially well suited for effectively targeting and treating this condition. Still other products are formulated for use at night, after compression wear has been removed for the day. They are designed to help stressed skin rejuvenate and regenerate. Proponents of such products note the comforting, soothing nature of the products after a day spent wearing compression garments. Of course, skin impacted by lymphedema is especially sensitive to additional insults, such as radiation damage from excess sun exposure. For this reason, patients should always wear an effective UVA-UVB sun blocking agent when venturing outdoors. The American Cancer Society recommends that people with lymphedema wear SPF 30 or higher sunscreen and wear tightly knit clothing over affected areas when going out in the sun. They also remind patients that ultraviolet radiation from the sun, which can cause burns, is most likely to occur between the hours of 10 a.m. to 4 p.m. Consider venturing out in the morning or evening to avoid peak burning times. Haley AC, Calahan C, Gandhi M, West DP, Rademaker A, Lacouture ME. Skin care management in cancer patients: an evaluation of quality of life and tolerability. Supportive Care in Cancer. 2011;19(4):545-554. doi:10.1007/s00520-010-0851-8. I’m interested in buying the lotion for my daughter. How much? Would have bought direct if a site was available. A website is available in the top-right corner. You need to click “Back to Shopping”. This will bring you to our website LymphedemaProducts.com. On the left hand side is our navigation bar. Select “Health & Personal Care” then select “Skincare” and you will be taken to all of our available lotions. If you have any questions feel free to contact us at support@lymphedemaproducts.com Have a great day! 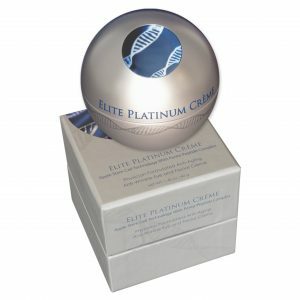 I am looking for a cream that would help me. I am being treated for wounds on my legs they have swollen up and I use special compression stockings to help eliminate the opening of the skin on my legs. I need a cream that would help heal my legs. Take a look at the lymphedemaproducts.com website as there are some nice options for lotions for sensitive skin. I personally like Lymphoderm.